There is a new Bengay Coupon available. 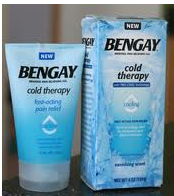 The coupon is for $5 off ny Bengay Cold Therapy. Make sure to check out the rest of the Rite Aid Deals for this week.